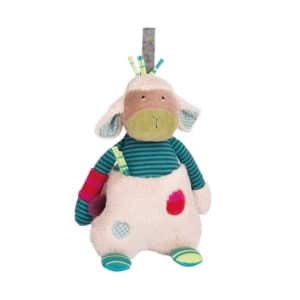 Your baby will love exploring their Les Jolis Pas Beaux Acticity Rabbit. 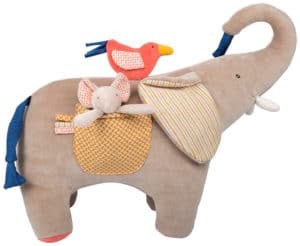 In Moulin Roty’s eclectic design style, the colours and textures of so many fabrics come together to create a distinctive toy with loads of character. 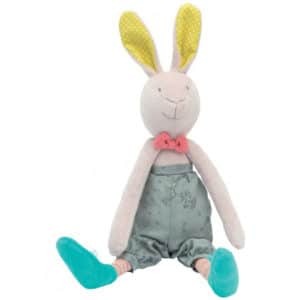 The activity rabbit has a peek a boo ‘mirror’, crinkly ears, two cotton tags, and a rattling friend in each hand. There is a velcro secured hanging loop on his head. 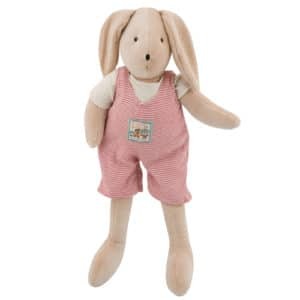 Rabbit’s body is a plush cream coloured fur, he has a beige velour head and striped teal jersey limbs. He has various felt and cotton appliques and details. 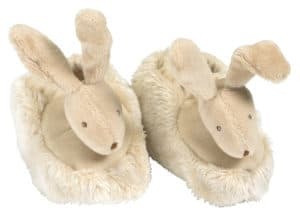 Care: Machine washable on a 30 degree delicate cycle.